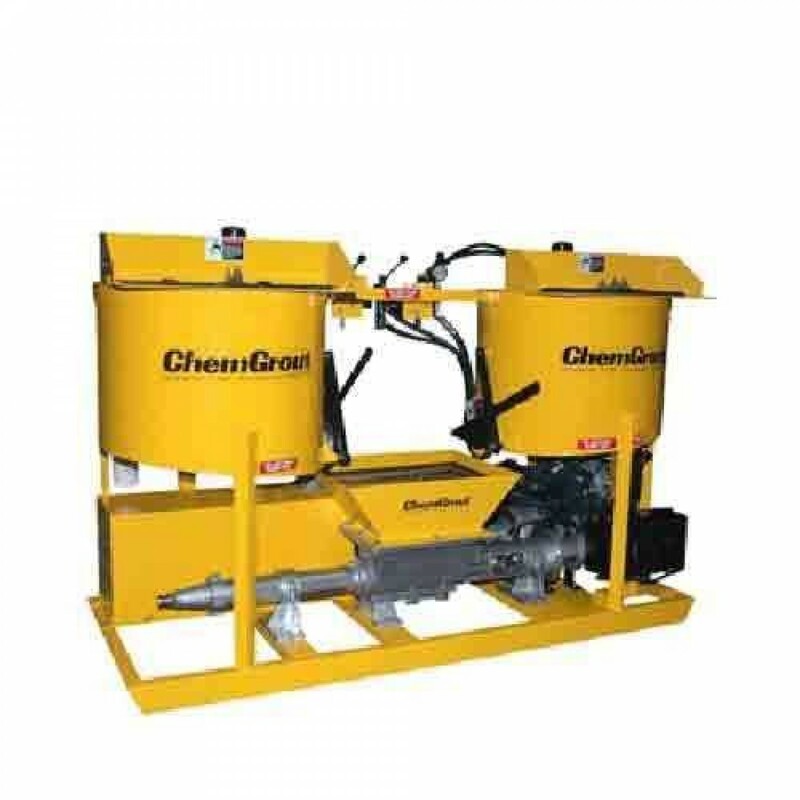 The ChemGrout CG-500 series are high volume production skid mounted grout plants. 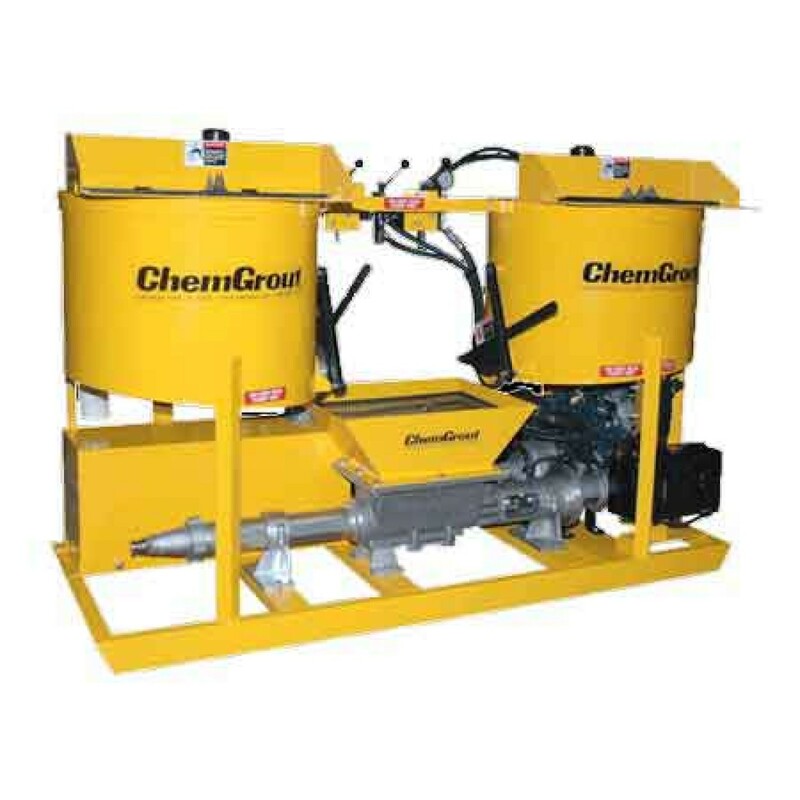 This versatile unit is designed to mix and pump neat cement, sanded grouts and most commercial pre-blended grout mixes. These units feature two 70-gallon (265 liters) mixing tanks, a 15-gallon (57 liters) holding hopper and an open throat progressive cavity grout pump. The unique double mix tank design permits continuous pumping as each mix tank alternates feeding the pump. Each mixer is equipped with baffles, bag breakers and variable speed high-efficiency paddles that provide rapid mixing. The tank outlet valves are large slide gates that allow the thickest materials to fall easily into the pump hopper. The holding hopper has an auger in it to keep the material thoroughly mixed while constantly supplying the grout pump with material for the continuous pumping operation. The grout pump is a variable speed, positive displacement, progressive cavity, rotor-stator pump. The rugged steel frame stands up to the toughest conditions on the job site. Operator controls are centrally located for efficient production. All components are easily accessible for operating, cleaning, and maintenance.